Thank you for listening to today’s Born To Talk Radio Show Podcast with Comedian, Sunda Croonquist. She is a bundle of energy! You will hear how Sunda, went from a degree in Criminal Justice from Seton Hall University, in South Orange, New Jersey to Television as an actress on an episode in Law & Order, Special Confessions Unit. She studied comedy with Stephen Rosenfield at the American Comedy Institute. Sunda soon realized that she has a dedication to her craft and ultimately started her own LA School of Comedy located at 10835 Santa Monica Blvd. in Los Angeles. Would you like to break into comedy? Sunda has made a generous offer to my listeners. She is offering a free one hour class, that will introduce to comedy from page to stage. Call 310-470-1939 and mention my name and the Born To Talk Radio Show Podcast. This could be a game changer for you. And if that’s not enough! 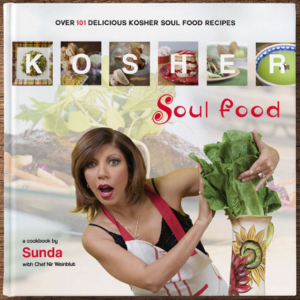 Check out her cookbook Kosher Soul Food that she wrote with Chef Nir Weinblut, owner of La Gondola Restaurant, in Beverly Hills, featuring over 101 recipes. The book serves up comfortable, familiar, delicious and memorable recipes with a touch of nostalgia that will remind you of dinner at Grandma s house. From Sweet Potato Pie to Southern Fried Chicken with Waffles, this cookbook brings southern soul to the high holidays, Passover and Shabbat dinners. She likes to eat, cooking just comes naturally to her. As well as being married, Sunda not only teaches, performs and travels with her comedy across the country, she is also an active participant in her daughter’s lives as inspiring performers as well. 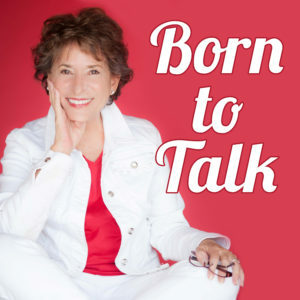 Born To Talk Radio Show Podcast followers, check out her special offer just for you, a free class by mentioning my name! Contact me at marsha@borntotalkradioshow.com I’d love to hear from you!